Medical Malpractice Help » Medical Malpractice » Legal Information » If Your Doctor Overprescribed Opioids and You Get Addicted Do You Have a Medical Malpractice Case? If Your Doctor Overprescribed Opioids and You Get Addicted Do You Have a Medical Malpractice Case? You could have grounds for a medical malpractice case if your doctor prescribed too much medication and you got addicted. If your doctor overprescribed opioids and you get addicted, you may have a medical malpractice case. A doctor who negligently prescribes too much medication can be liable for any injuries or harm that results from their patient’s subsequent addiction to that medication. A successful case hinges on proving that negligence was a factor. 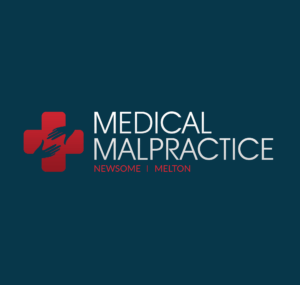 The medical malpractice lawyers at Newsome Melton fight for patients who have suffered injuries because of medical negligence. If a doctor’s negligent behavior caused you to become addicted to a drug, we want to help you get your life back, which includes seeking damages from the responsible party. We offer a free case evaluation to learn more about your situation. To speak with a member of the Newsome Melton team, call 855-633-2757. Although many medications have addictive properties, common addictions resulting from overprescription are to pain medications containing opioids. Both the doctor prescribing this medication and the pharmacist dispensing it have a strict duty of care to take every precaution possible to prevent addiction. Opioids are so addictive because they alter your brain chemistry, which can be highly effective for short-circuiting pain, but it can also create a dependence on the drug. The medication inserts itself into your body’s natural feedback loop, and when you try to remove it, your body cannot function properly, and you suffer withdrawal symptoms. Opioid addiction is notoriously difficult to break. Sadly, many people currently suffering from opioid addiction started on the drug, not because of recreational use but because a doctor prescribed it to them, often in too large of a quantity or without proper monitoring. A doctor who overprescribes or does not regularly check in on a patient using opioids can be liable for any injuries that occur. Your addiction caused you to incur economic or non-economic damages. A doctor owes a duty of care to all of their patients. This duty includes putting the patient’s interests first and taking every necessary step to minimize the chance of injury or harm. When prescribing medication, a doctor’s duty includes following opioid prescribing guidelines, such as proper dosing protocol, understanding if the patient has a history of or propensity for addiction, and identifying any medicinal allergies or contra-indications. A doctor is in violation of their duty of care anytime their behavior or conduct falls short of how a reasonable person would act in a similar situation. In a medical malpractice lawsuit, we can bring in medical expert witnesses to assume the role of this “reasonable person.” Our expert witnesses can review the evidence and explain how your doctor was negligent in prescribing you the quantity of medication you received. For a doctor’s negligence to constitute malpractice, it must directly cause or contribute to injury or harm suffered by the patient. Therefore, we must draw a clear link between your doctor’s overprescription and your development of an addiction to the drug. We can draw upon several forms of evidence to make this connection clear. The Newsome Melton medical malpractice legal team can help you hold your doctor liable and recover compensation. If you developed an addiction because your doctor prescribed too much medication, we can help. For a free case evaluation, call us at 855-633-2757.